Thinking of hiring the cheapest appraiser? 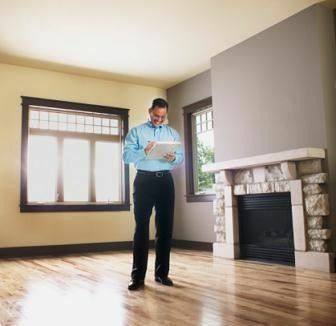 If you have never worked with an appraiser before, you probably wouldn’t realize that all appraisers are not created equal and can be very different depending on their experience, education, and knowledge of your market area. Anyone who has had a bad experience with an appraiser because they hired the cheapest and fastest will tell you it’s simply not worth the risk. So don’t wait for your own bad experience to be a wake-up call when hiring an appraiser for your needs. It can be tempting to hire a low fee appraiser. It seems like just a formality anyway. However, when it comes to hiring a professional appraiser for such an important job remember that you often get what you pay for! It’s not worth trying to save $50 or $100 on the cost of an appraisal when there’s a very good chance you may not receive the quality report you deserve if your main hiring decision was simply to go with the cheapest appraiser. So when it comes to working within your budget, don’t select an appraiser simply to save a couple bucks because it could cost you dearly in the long run. There are a few ways to help ensure you are hiring a quality appraiser. First, you should always ask for referrals from people you know and trust or from reputable real estate professionals within your market area. You can also look online for appraisers that come up repeatedly and start your research from there. In addition, you should always pre-screen an appraiser. Any appraiser who’s not willing to answer a few questions for you up front is probably not someone you should be entrusting with an important job like appraising your home. Besides full name and telephone number, you should also ask for the appraiser’s license or certification number. This lets the appraiser know you are serious about the person you are hiring. If they won’t share this information with you this is a red flag and you should consider calling someone else. Save yourself some time and tell them you’ll need that information before you can speak with them any further. Find out the location of the appraiser’s “home base” or office. It’s a very good idea to work with an appraiser who has completed a substantial amount of work in your area and be afraid to ask how many appraisals they’ve completed in your area over the past two years. It’s very important for the appraiser to be familiar with your market area in order to produce an accurate and reliable appraisal report. Additionally, keep in mind that when appraisers are slow they may be willing to reduce their fees and drive great distances into market areas they are unfamiliar with, so beware. Ask how long they’ve been appraising and if they’ve ever been sanctioned. 5 to10 years of experience is ideal and you should avoid hiring appraisers who’ve been sanctioned disciplined in the past by the OREA. Find out what level of licensing they have. An appraiser’s license can vary from Trainee to Certified General. Never hire a trainee unless a fully certified mentor is involved in both the appraisal process and final analysis. In California, appraisers with “AL” designations mean they can perform appraisals on properties worth up to $1M while appraisers with “AR” designations have more training and education and can perform appraisals on properties up to and above $1M. Appraisers with “AG” designations allow them to perform appraisals on commercial in addition to $1M plus properties. I hope you found this helpful and if you have any questions about the appraisal process please call us anytime.